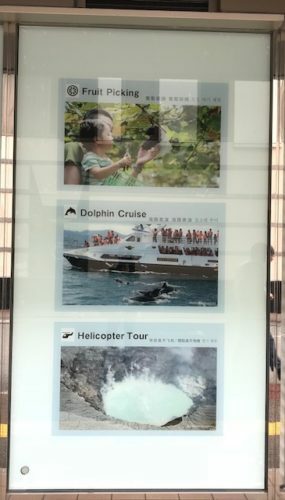 “Tour Plaza Kamitori” offers arrangements of a variety of tours (fruit picking, dolphin cruises, Aso helicopter flights, etc. ), tour guides, and taxi services for people visiting Kumamoto. The office is open 10 AM – 6 PM with staff members speaking four languages (Chinese, English, Japanese, and Korean). 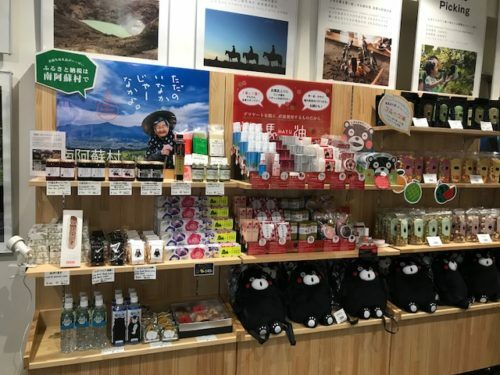 You can find unique souvenirs in the office, as well as Genmai Genkido bakery shop, which deals in brown rice, gluten-free bread.